sweet – Your Life. Your Hustle. We had this wine at a dinner party we hosted and it worked out great. We paired it with brownies a la mode and the raspberry was a fantastic pairing with the vanilla and chocolate. Our guests each had a small glass so my complaint was that the bottle was too small. This bottle served about six guests. 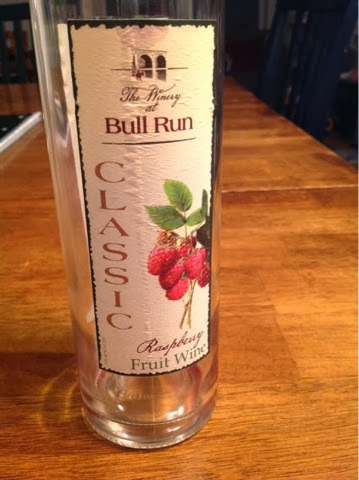 We already knew we liked the wine as we first sampled it at a wine tasting event at The Winery At Bull Run. Great vineyard to go and visit. Friends and I picked up this beauty on a trip to Gettysburg shortly before the Christmas holidays. 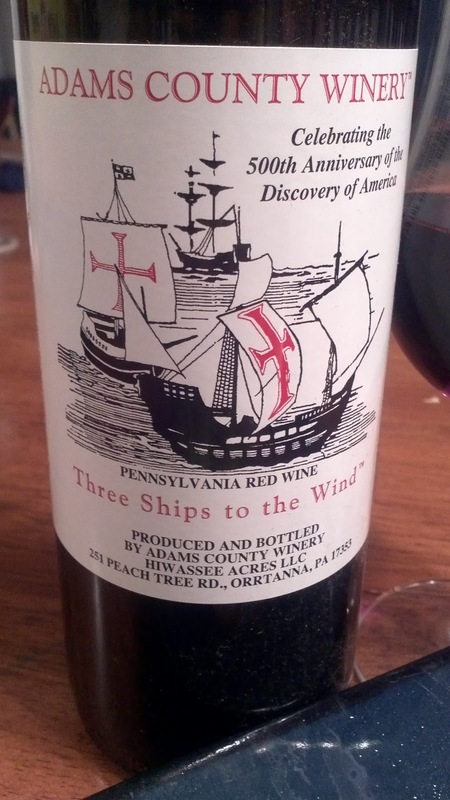 The Adams County Winery store in Gettysburg graciously offered FREE wine tasting on our choice of three bottles. 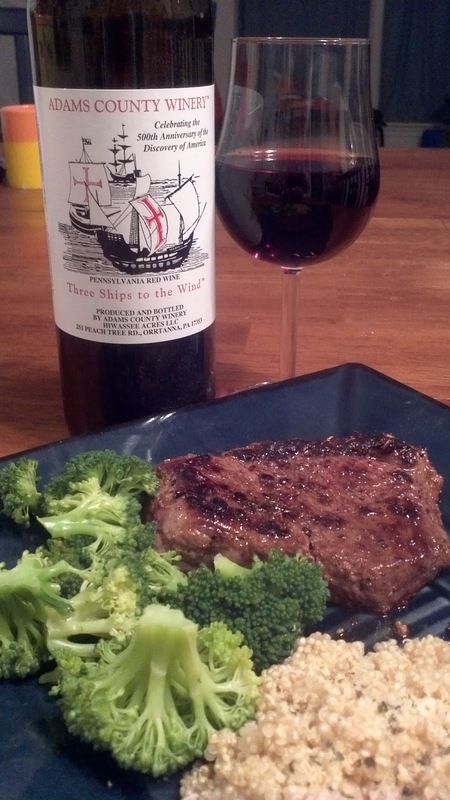 I purchased two of the Three Ships to the Wind red wine. Personally I enjoy a dry wine but my husband favors the sweet stuff a little more. One bottle was uncorked Christmas Day and was inhaled within 10 seconds by our guests. I didn’t even get a glass!!! No worries though; I bought two! Cracked the second one open for a solo glass the other night. I ended up nursing it for an hour or so as it is really sweet which is not my favorite. However, my husband loves it and our guests at Christmas couldn’t stop raving about it. The wine is a very sweet and fruity and when chilled is crisp and refreshing (probably better for a summer day than the middle of winter!). It leaves zero after taste and is perfect for those wine drinkers who “like” wine but don’t really LIKE wine if you know what I mean. It’s a light weight red; Chambourcin blend. 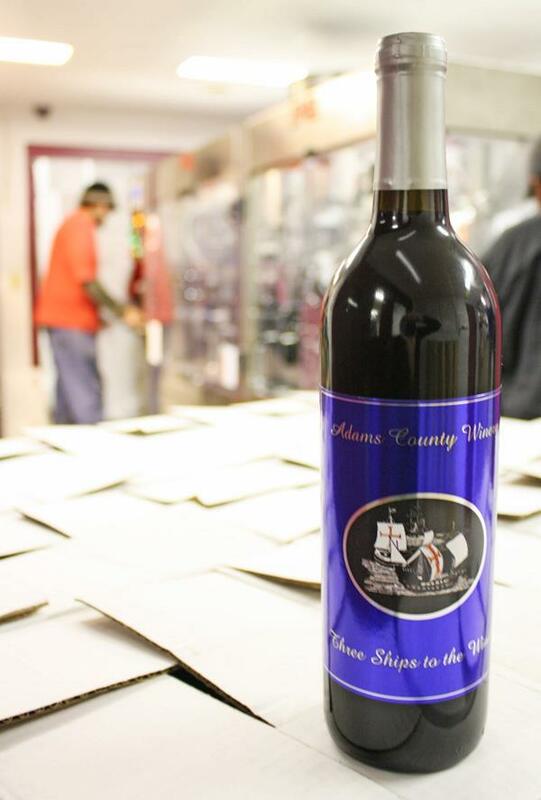 Kudos to The Adams County Winery for this sweet bottle of red. We’ll keep a bottle on hand for our guests that say they’d like to try a red but say they don’t like heavy or dry wine. Just this evening I paired it with our steak dinner; worked out quite well. I would have preferred a Shiraz with my steak but all in all it was a good experience. Oh BTW they are changing their label and put up this promo picture on their Facebook page. I like the new label!